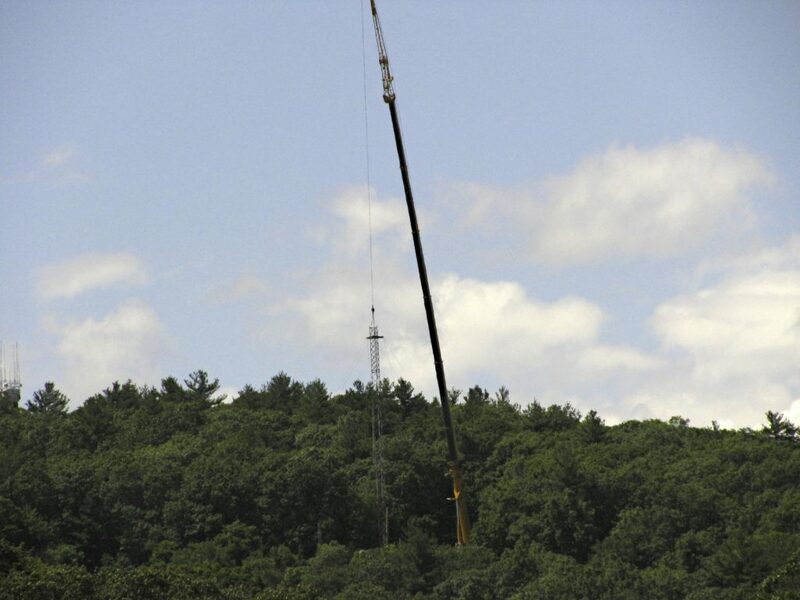 The 293-foot communication tower at the heart of a legal dispute between the city and Louis and Anthony Antico has come down. The tower, located high on Prospect Hill, was first erected in 1962, and then extended in 1980. But a 2015 request from the Anticos to build a new tower at the location caught the attention of the city’s building department head, who claimed the existing tower was illegal and unsafe. Inspector of Buildings William Forte ultimately issued a cease and desist order in 2015 as well as a “remove or make safe” order, claiming that commercial use of the tower was not permitted since it was in a residential zone. Further, Forte said the city never issued a building permit to allow for commercial use at the site. The tower was previously used for commercial purposes by internet providers, snowplow dispatchers, ambulance services, and a bus company. The Anticos challenged the order, but eventually reached a non-monetary settlement with the city to drop the case, said Philip McCourt, a Waltham-based lawyer who represents the Anticos. Part of the settlement required the tower to be taken down, and it was removed two weeks ago. Forte’s decision to challenge the legality of the tower came after the city’s own zoning board of appeals had granted the Anticos’ proposal to build a new tower on the site, and tear down the existing one. There was a separate lawsuit against the Anticos issued by the city’s Recreation Board, which alleged that the tower and its infrastructure encroached on city parkland. The board was seeking to have the Anticos remove all the structures they have built on city parkland, which include a swinging gate, the embedded anchors for the tower’s guy wires and more than 100 yards of a crushed asphalt road going through the park. The Recreation Board met on Friday, July 7, to address plans at the site, but decided to hold an executive session discussion not open to the public. Sonja Wadman, head of the Waltham Land Trust, has fought for the tower to come down, and for the parkland to be restored. Nonetheless, she was happy to find out the tower had been removed. 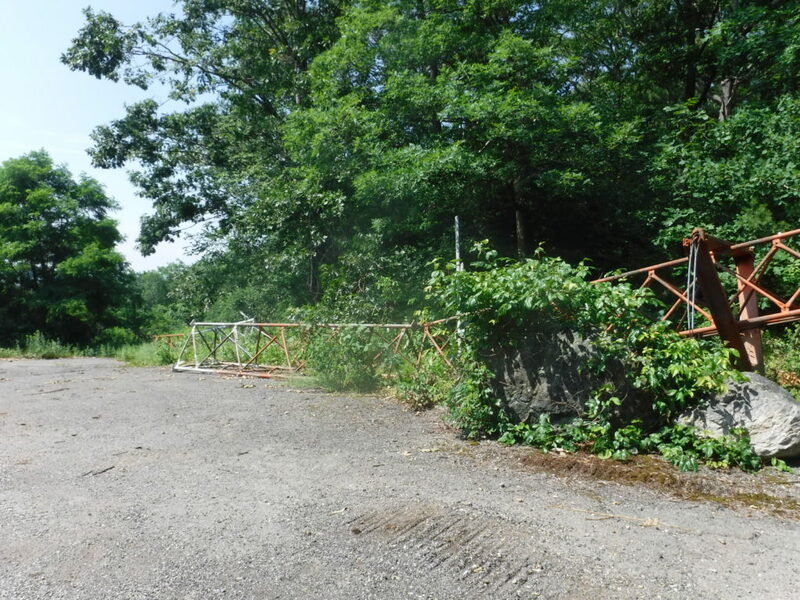 David Kehs, a member of the now-defunct Prospect Hill Park Advocacy Group, said he would also like to see the paved land become part of the park now that the tower is gone. The future of the part of the site owned by the Anticos is unknown, but McCourt said the brothers would be willing to sell the land, which is roughly five acres, to the city. McCourt said that while the Anticos ultimately agreed to take the tower down, they were disappointed in how they were portrayed in the entire proceeding.